I always love a good recipe challenge. So a couple of weeks ago when my Chief Culinary Consultant and I were hanging out on a Saturday (and after I had already lost about a bajillion games of NHL11 to him), and he said, “What do you think about baking something?” I eagerly shot straight up. Within seconds I started rattling off ideas… apple crisp? apple pie? cobbler? 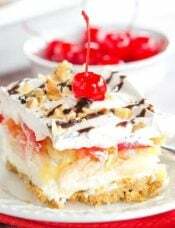 cheesecake? I’m sure I threw another 5-10 ideas out there when he said he was thinking something more along the lines of pepperoni bread or pizza. Oooh, equally good candidates. We both claim pepperoni pizza as our favorite, but he said that he once had a fabulous white pizza from a place in Greensburg, PA, Vallozzi’s, that had a thin crust that almost tasted like pie crust, and could I maybe try to duplicate it? I’d never been to the restaurant or had their pizza, but figured that I could do some research and come up with something. A couple of hours later, I pulled this pizza out of the oven and we devoured it. So, how did it compare to the one I was trying to replicate? He said the crust was almost perfectly replicated and that the pizza was awesome. Win! If you look at the photo above, you can see that the crust is very flaky and really quite close to that of a pie or pastry crust. 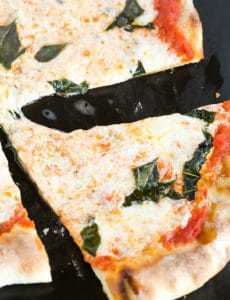 It gives the pizza great dimension and an unexpected texture compared to traditional pizzas. I ended up merging some of the key aspects of a Chicago-style deep dish crust (which typically tastes like pie crust and is buttery and flaky, but way more doughy than what I wanted) and a traditional thin crust pizza. In the end, you have a crust that includes butter, a small amount of yeast, and a short rest time (no rising). So what about the top of the pizza? I did some Googling and found a thread talking about white pizza. 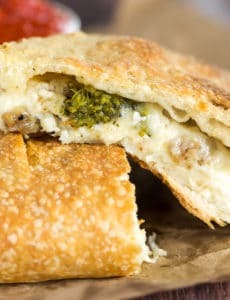 Lo and behold, a former employee from Vallozzi’s shared a few tips: their crusts are par-baked prior to topping and fully cooking the pizza, and they use good provolone cheese, tomatoes, garlic powder, salt, pepper, minced garlic and basil. A quick check of the restaurant’s website noted that Romano cheese is also included. So, I put together my version – the first time I made it I had fresh basil and used that, but feel free to use your favorite fresh or dried herbs. Where do you get your favorite pizza from? 1. Preheat oven to 500 degrees F (or as hot as your oven will get). If using a pizza stone, preheat it along with the oven. If not using a pizza stone, line two baking sheets with parchment paper and set aside. 2. In a large bowl, whisk together the flour, sugar and salt. Add the cubed, chilled butter and, using a pastry blender or your fingers, work the butter into the flour mixture until it is mostly incorporated and looks like coarse sand. In a large measuring cup or small bowl, combine the warm water and instant yeast. Add to the flour mixture and, using a fork, combine until the mixture is evenly moistened. Turn out onto a floured surface and knead for a minute or so until the dough comes together and is smooth. Divide the dough in two, shape into balls, cover with a damp kitchen towel, and let rest for about 30 minutes. 3. If using a pizza stone, do the shaping on a floured pizza peel, if not, do the shaping directly on the parchment-lined baking sheet (flour as needed). Take one piece of dough and shape into a 10-inch circle. I just use my hands, but you can use a rolling pin if that's easier for you, just use a light touch. With a fork, prick the surface of the dough and bake for approximately 5 minutes. 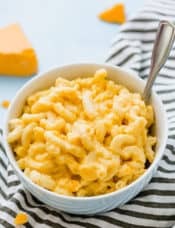 Remove from the oven, brush with olive oil, and top with Romano cheese, garlic powder, dried basil and oregano, then top with shredded provolone cheese. Add the slices of tomato, the garlic, then sprinkle with salt and pepper and additional Romano cheese, if desired. Return to the oven for an additional 5 to 10 minutes, or until the cheese is melted and begins to brown. Repeat with the second half of dough. Quick Craving: I used to make pie crust all the time as a bakery owner. Now retired with arthritis, I make it very seldom. 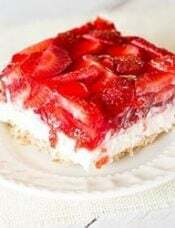 I made it a couple of times for this recipe and it was spectacular. My daughter was craving it one night at the last minute and decided to get store bought pie crust. Oh did that sting! She made it again at my house and it was good. So just a tip for the last minute craving but fresh will always be best! 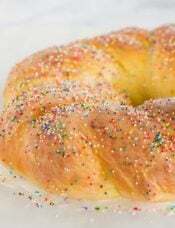 I worked for Vallozzis although they never told anyone the dough recipe I do know that they used lard instead of butter and they also used fresh yeast. They do have probably the best pizza I’ve ever had and I never got sick of eating it even after working there for 2 years. 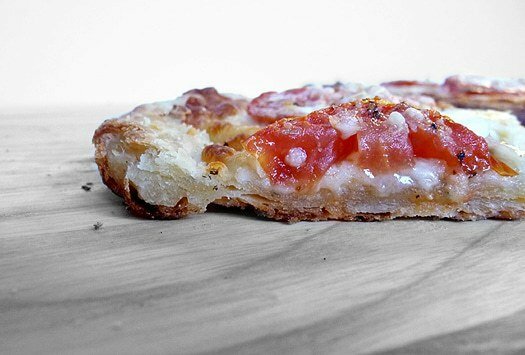 My husband and I were looking for a recipe that would replicate our very favorite pizza from years ago. 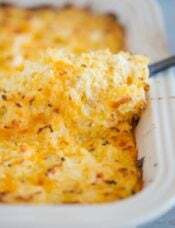 When my husband found your recipe, we were excited to try it….and it is PERFECT! It is exactly what we were hoping for and easy to make as well. We really only used the crust portion because we can our own pizza sauce but the crust recipe is yummy! Thanks for sharing this recipe! It’s now my go to pizza dough. Very light and crisp. I made this last night and O.M.G. was it delicious! I made the dough in my food processor which was a breeze. The first pizza I tried to spread it on my pizza paddle and found it a little difficult. The 2nd one, I formed on parchment paper on a round pizza pan and it was much easier for me. I slid it onto my pizza stone for the first 5 minutes. Took it out and added all the ingredients and then slid it directly on the stone to finish cooking, without the parchment. It was perfect. The ingredients are perfect too! Had a bit of Fontina so I added that to the provolone and YUM. I want to use this crust for a regular red pizza too to see how it comes out. Thanks for a wonderful recipe! This looks fabulous! Can’t wait to try it. Thanks!! What would I do if I am making this dough in advance? You could wrap in plastic wrap and refrigerate for up to 2 days or freeze for up to a few months. This looks AMAZING!! I’m so glad you correctly identified white pizza! So many people think white pizza means Alfredo sauce instead of red sauce, yuck! Yours almost looks like what I was taught is called a margarita pizza, white with mozzerella, sliced tomatoes, basil and if desired black & green olives yum! White pizza is must have around here! this pizza was perfect. the crust I was looking for. I added fire roasted tomatoes with 2 to tablespoons of tomato sauce. still had the great sicilian flavor. you deserve an award for this one. im using this crust for all of my pizza varieties! I had this pizza YEARS ago when I was in the area training at a business that was opening a branch when I live. Someone suggested I stop here and on my way back to the hotel I did. I fell in LOVE and stopped every night and got one. Over the years I have searched ‘white pizza’ recipes as well as just trying my own. I knew it was a crust, garlic, cheese and sliced tomatoes. But nothing ever made it close. I found this today and CANNOT wait to make it. I have not had the opportunity to be back in Greensburg but I think of this pizza and tell everyone about it. THANK YOU, THANK YOU, THANK YOU. Hello! I live in Pittsburgh and it’s very hard to find instant yeast and i don;t want to go through the hassle of buying it online. Could you please tell me where you got yours from? Thank you. Hi Tiona, I always buy instant yeast at Giant Eagle. If you go to the baking aisle, it’s usually on top near the baking powder and soda. It comes in a little jar, usually with a blue lid. You should be able to find smaller packets in that area as well. I used to work at Vallozzi’s although they never shared the recipe with anyone who worked there I watched them make it many times and I know they used lard instead of butter. I lived less than half mile from Vallozzi’s for nearly 10 years – probably had 500 of their pizzas. This recipe doesn’t even come close. Don’t waste your time. Hint : NO YEAST is used!!!! Wow, I have been looking for a Vallazzi’s-lie crust recipe for years. Their pizza is truly outstanding. Its different – so you cannot compare it to traditional raised dough. I am living in China now, so I am looking forward to a slice of home this weekend!!! Hi Michelle, Your recipes sounds so intriguing and different. I am having an informal ‘working’ lunch with a co-worker and need to have a pizza all ready ahead of time (like the night before) to just pop into the oven right before lunch. How do you think this recipe would work if I prebaked the crust, put all the toppings on and and kept it cold – taking it out right before baking in a nice hot oven. If that won’t work, could I pre-bake the dough the night before, refrigerate it and then add all the prepared toppings right before baking? I just won’t have a lot of prep time right before baking?? Hi Grace, You could par-bake the dough, then top it and freeze the pizza whole, then bake straight the next day. I made this and it did not come out flaky it all, it came out really dense and I want to know what could have possibly done wrong. And also the crust tasted like patch of butter than bread, I’m guessing because you add the butter cubed and chilled. oo that looks so good! 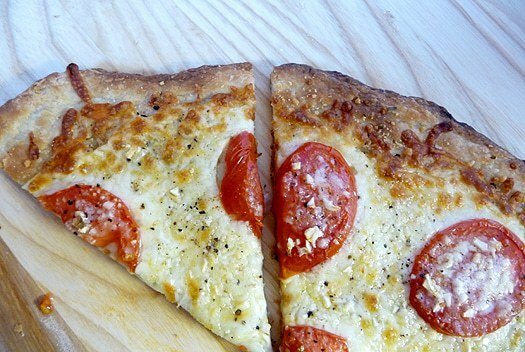 My favorite pizza right now is grilled pizzas…. cheese and mushroom. But this, oh this…. yummy! How can you duplicate a pizza crust unless you have actually tasted it???? I have my doubts. I shall try your recipe. Somehow I bet you miss the boat by a very long distance. I am the king of pizza here in Greensburg PA. 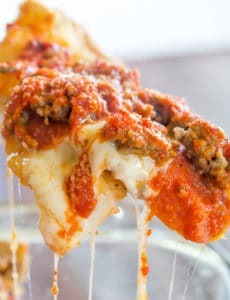 I made this crust for my favorite deep dish pizza (http://www.dishingthedivine.com/2011/04/22/deep-dish-pizza/) and it was so delicious! I can’t wait to eat it again and again! I tried your white pizza thin crust dough. It was so simple! My topping on one of the pizzas consisted of smoked salmon, caramelized onions and goat cheese. Along with the extra thin crust the pizza was amazing. Thank you so much! This is the best home made crust ever. I have been scouring the internet for the perfect crunchy and flaky pizza cruse and you have finally given me what I have been looking for. Thank you so much! 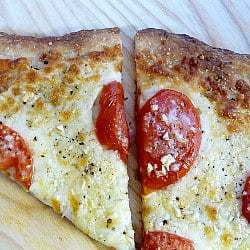 I just found this recipe today as Friday night is Pizza Night at our house….always homemade, never delivery! HA! We live in central Illinois and had our first frost last night, so I have to use up my basil and tomatoes out of my garden. I wanted to make a Chicken-Pesto-Pine nut pizza that we often would have when we lived in Pittsburgh from Papa J’s! So, in searching for a nice, light, buttery, flakey crust, I came upon your blog! At first sight of the picture, I immediately thought, this *HAS* to be a picture of a piece of pizza from Pittsburgh! Sure enough, after doing some poking around on your blog, I found out that you are in the Burgh! How cool! You have a BEAUTIFUL sight! Thanks for this recipe! I’m off to my kitchen to make my pesto and dough! Hi Meghan, It’s so funny you commented on this today. I haven’t made this pizza in SO long, and my boyfriend requested it for dinner tonight, so I’ll be making it tonight too. I hope you enjoy it! Thank you so much for this fabulous recipe. I have made this several times and it is the BEST pizza crust. 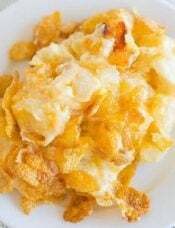 They only thing I do differently is make it in the food processor and it makes it really easy and quick. I made THREE crusts last weekend for my daughters birthday and everyone loved it so much! My family asked me to bring it when we go on vacation instead of ordering pizza! It really is that good!